What are Autism Boarding Schools? As a parent with a special needs child, you want to find a place where your son can thrive. Traditional schools offer a more normalized environment, but lack some of the services you know your son needs. Local special education schools may be a better option, but still, you feel your son needs something more. Many parents have been through similar struggles. They wanted the best for their son, but weren’t sure where to find help. Autism boarding schools, like New Focus Academy, offer an opportunity for children with neurodevelopmental disorders unlike other school settings. Autism boarding schools know each child has the potential for a happy, meaningful life. Education is a focus, but these schools offer so much more. Sending a child to an autism boarding school may be a difficult decision. After all, you know your child’s struggles and quirks better than anyone else. Will these staff understand your child? While traditional schools may have a few staff specializing in developmental delays, autism boarding schools are filled with knowledgeable staff dedicated to the success of each student. A multidisciplinary team gets to know your child. What they love to do. What makes them anxious. How they learn. They use this knowledge to create a plan for improving every aspect of your child’s life. Focusing on independence, autism boarding schools set goals and objectives specifically catering to your child’s strengths and needs. Through a variety of therapies, activities, and educational experiences, your child builds confidence and self-esteem to take on the challenges of transitioning into an independent life. By using the latest, evidence-based approaches to learning and developing skills, your child finally has an environment where he feels supported and empowered. At autism boarding schools, your child will discover his plan and purpose. Who do Autism Boarding Schools Help? Autism boarding schools are designed for children with autism and other developmental delays who struggled in traditional educational institutions. These students think and learn differently. Their behaviors and individual quirks often leave them isolated–even bullied–in traditional school settings. Sadly, many of these students don’t have the social and emotional skills to deal with their struggles. They often act out or retreat into their personal comfort zones. As a result, they fail to make the connections and developmental milestones necessary for personal growth. 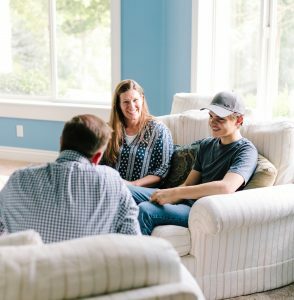 Instead of considering their challenges a deficit, autism boarding schools harness each student’s strengths and individual learning styles to create an environment of success. By understanding a student’s psychological, cognitive, and emotional needs, these schools finally offer young men a chance to thrive. If your child struggled to make progress in other school settings, New Focus Academy–one of the leading autism boarding schools for boys–is ready to help. At New Focus Academy, we know each student is more than a diagnosis or individual education plan (IEP). In fact, our evidence-based programming seeks to meet each student where they are emotionally, academically, and socially. From there, we create a plan of success and use positive reinforcement to build your child’s self-confidence and willingness to explore new opportunities. New Focus Academy knows each student entering our program has potential. Each of our students have individual definitions of success. Our comprehensive assessment process allows us to understand each student. In fact, New Focus Academy’s founder–an esteemed Clinical Neuropsychologist and Behavioral Specialist–gets to know each student and helps create a program based on how his brain learns and processes information. In addition, we know parents and family members are an invaluable source of information helping us learn more about a student. This is why we involve families in every step of the planning process. As we begin to understand your child’s unique interests, strengths, and challenges, we can create change with our scientifically proven approaches for personal growth. Unlike traditional schools, we offer opportunities far beyond academics. Each day, our students interact with therapeutic “coaches” who provide guidance, support, and motivation. Too often, teens coming to our program feel like failures. Again and again, they’ve been told they were doing something wrong. Sadly, this constant negative feedback has its effects on their self-esteem and attitudes. We use positive reinforcement to uplift our students and empower them to take on new challenges. And yes, sometimes our students have setbacks. This is a normal part of the treatment process. Instead of making them feel bad for these struggles, we create learning experiences where they have the ability to grow–even during the tough times. Our life skills and social development groups give your child real-life experiences to make progress in their need areas. Students are given chores and responsibilities to teach skills and make them feel like a valuable member of the community. As they find success at New Focus Academy, they learn how they can transfer skills beyond our program. We provide a wide range or recreation and physical education activities to promote health and positive habits for a fulfilling leisure lifestyle. Too often, teens come to us with a limited interests and a sedentary lifestyle. Our students learn the value of being active and pursuing interests they may not have been exposed to in traditional school settings. Even more beneficial, during recreational activities students get a chance to practice coping and social skills in a structured, fun environment. At New Focus Academy, every aspect of our treatment model is inspired by evidence-based clinical approaches. What does that mean? We use the information from the latest research to create a program that really works! Many parents searching for autism boarding schools discovered just how powerful our program could be in transforming lives. What approaches are effective for helping a student with autism or other developmental delays? Interventions that inspire students to learn and make informed decisions about their lives are most effective in creating lasting change. At New Focus Academy, we know our students may be struggling with confidence and self-esteem issues because of their past struggles. We also know that each student has a unique skill set that can be used to overcome some of these struggles. The strength-based approach to treatment planning shows students they are not failures–they just learn and experience the world differently. In addition, we teach students principles instead of rules. 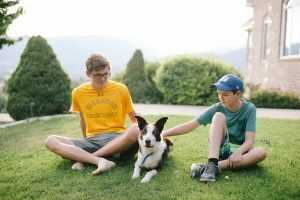 While our program has rules and expectations like any of the other autism boarding schools, we help our students learn why certain expectations are in place. Instead of blindly following rules, our students begin to understand the principles behind the rules so they can transfer these skills in every aspect of our life. In fact, we have six principles that make up the foundation of our program. Throughout their treatment, our students work on “Brain Training” activities that start in the classroom and flow into real-life settings. These cognitive enhancement activities not only make learning easier, they have the potential to improve cognitive functioning. Brain training activities help with processing information, developing social skills, and making informed decisions about daily life activities. Finally, we know family plays a major role in a child’s success. Just because your child is in an autism boarding school, this doesn’t mean your input and involvement is not needed. In fact, parents and siblings can learn new skills to help their child thrive once completing New Focus Academy’s program. Every day, scientific studies and research projects are conducted to get a better understanding of autism and other developmental delays. As we learn more about how the brain functions in a student with autism, we can create more effective therapies in hopes of eliminating some of the challenges associated with autism. Even a “normal” teenage brain goes through several changes as it transitions into young adulthood. By understanding these changes and the differences in the brain of someone with autism, the ability to develop medications and other therapeutic approaches becomes more likely. For example, two recent research studies investigated how and when the cerebellum contributes to symptoms of autism. The cerebellum plays a role in developing social and cognitive abilities. These studies also suggest the cerebellum is responsible for language development. Studies with mice suggest an emerging treatment can actually reverse social deficits up until young adulthood. As more and more research is being conducted, we may someday have the ability to reverse the negative effects of autism and other developmental delays. Of course, we can’t all be neurologists helping our child change his brain. There are things parents can do to help a child’s development. In fact, sometimes reducing your stress as a parent and cultivating positive beliefs about your child can make a difference. This idea was suggested in a popular study by Emilie Paczkowski and Bruce L. Baker. Positive beliefs not only helped with a parent’s stress, it also decreased a child’s behavior problems. As technology gets more advanced, we could only imagine the significant impacts it will have on children and teens with neurodevelopmental issues. New Focus Academy uses the latest research to develop one of the most advanced autism boarding schools. Find out how we can help your child today.